What You Need to Know: Taking hormone replacement therapy (HRT) for menopause, even for just a few years, is associated with a small increased risk of developing the two most common types of ovarian cancer, according to a detailed re-analysis of all the available evidence. The Evidence: The findings from a meta-analysis (a study of a collection of studies) of 52 epidemiological studies, involving a total of 21488 women with ovarian cancer, almost all from North America, Europe and Australia, indicate that women who use HRT for just a few years are about 40% more likely to develop ovarian cancer than women who have never taken HRT. My Take: While hormone replacement therapy can provide benefits for selected individuals, this study reminds us to be prudent: If you must use HRT (for example, for hot flashes not controlled by acupuncture, exercise, and attention to triggers such as heat, caffeine, alcohol, stress, and spicy foods), use the lowest dose of HRT that you can, for as short a duration as possible. HRT can also increase the risks of breast cancer and cardiovascular events (but may lower your risk of colon cancer, and help with hot flashes (among other symptoms of menopause). I’m Dr. Michael Hunter. The Lancet. “Short-term use of hormone replacement therapy associated with increased ovarian cancer risk.” ScienceDaily. ScienceDaily, 12 February 2015. <www.sciencedaily.com/releases/2015/02/150212211945.htm>. 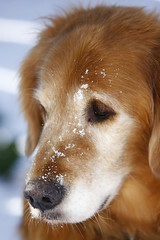 Dogs Sniffing Out Cancer: Really? Well, yes. Really. Investigators at the University of Pennsylvania (Philadelphia, USA) have joined with Penn Vet Working Dog Center to try to sniff out early ovarian cancer, a potentially silent killer that is often diagnosed too late. Background: Ovarian cancer will kill more than 14,000 women in the USA this year (and 22,000 new cases will be found). We don’t have a great screening tool for ovarian cancer, so researchers are hoping the dogs and their keen sense of smell can lead them to one. Cancer cells have a detectable biomarker. So engineering students at Penn designed a large wheel with paint cans on the end of each spoke. Only one of the cans has cancer tissue in it. If the dog correctly identifies it, it is rewarded with time with a treasured toy. The research is an interdisciplinary effort between the Penn Vet Working Dog Center and the University of Pennsylvania. There are 3 parallel studies: 1) the biologic one with the dogs; 2) an organic chemistry effort to create an artificial nose; and 3) nanotechnology to develop a computerized screening instrument. My take: Intriguing. The researchers build on 2010 work from Sweden, where pet giant schnauzers showed a sensitivity of 100% (if cancer was there, the dogs always found it), and specificity of 95% ( ). Dogs with long noses (think hunting dogs such as Labradors, golden retrievers and springer spaniels) have the largest surface area for smell receptors. I’m Dr. Michael Hunter. Posted on August 9, 2013 Categories Basic science, Ovarian cancerTags cancer screening, dogs and cancer screening, Olfaction, Ovarian cancer, ovarian cancer screening, University of PennsylvaniaLeave a comment on Dogs Sniffing Out Cancer: Really?